World War Z: My personal connection to Brad Pitt - ha! Brook's name is nice and big! 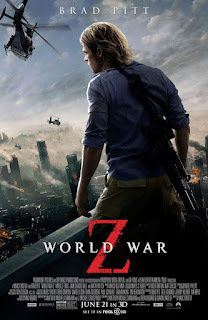 World War Z book fans take note: the Brad Pitt movie based on Max Brook's book that was so awful that Paramount plunked down another $20 million for re-shoots which most everyone said would not work, actually opened this weekend to generally favorable reviews! Deadline talked to the film's director, Marc Forster, about the whole horrific process and how the re-shoots helped return the movie to a more book-faithful and meaningful tale. And while it's not my kind of book, I do get a kick out of the fact that Brad Pitt sent the zombie novel to the director, so keen was he to do it. You can read the entire interview below; I've cut and paste it from Deadline.com but first, my personal connection. Yes, I knew Brad when. No. He wouldn't know me from Adam. 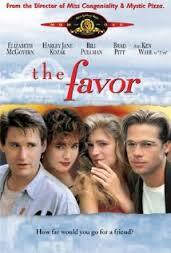 Did I ever tell you how I had a short lived 'career' as a production coordinator and that I worked on one of Brad Pitt's early movies, The Favor, co-starring Elizabeth McGovern Bill Pullman, and Harley Jane Kozak? We shot The Favor in late 1991 in and around Portland, Oregon right after Brad's break out performance in Thelma and Louise which was filmed earlier that same year. It just wasn't that great - mainly due to Ken Wahl starring as 'the other man' for Harley Jane Kozak but in any case the film was kept on the shelf and wasn't released until 1994. The non-opener didn't hold Brad Pitt back. 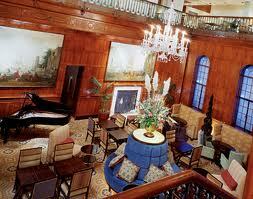 the Heathman Hotel in Portland, Oregon. On one incredible evening Brad, Elizabeth McGovern, my then-boss and a few more of us went to see Melissa Etheridge playing in town. Can I remember the venue? No - it was 20 something years ago - I can't, but I do recall the evening was organized because one of the producer types was crushing on Elizabeth. What stands out most to me now is just how quiet and completely devoid of stud-attitude Brad was. He just seemed, oh brother, 'nice'. We all had drinks in what I remember as a warm wood-panelled bar in the dignified elegance of the Heathman Hotel in downtown Portland. The picture of the bar to the left doesn't capture that deep, rich feeling of my memories but again 20 years ago ... the good ol days especially because we can't recall them exactly. That was all I saw of Brad Pitt off set; but there was another evening where a good number of us went to dinner at Dan + Louis Oyster Bar, a Portland tradition since 1907! Elizabeth came along - the same producer crushing on her - and I experienced first hand how unnerving dining out can be to the famoso among us. The diners couldn't take their eyes off her; do you have any idea how difficult it is to talk or eat or act in any natural manner whatsoever with a roomful of eyes watching your every move? Fame is a curse, I tell you! "When Marc Forster was a kid, he was fascinated by how a collective swarming movement made everything from ants to cancer cells more potent. Those images informed the depiction of the hordes of zombies in World War Z. 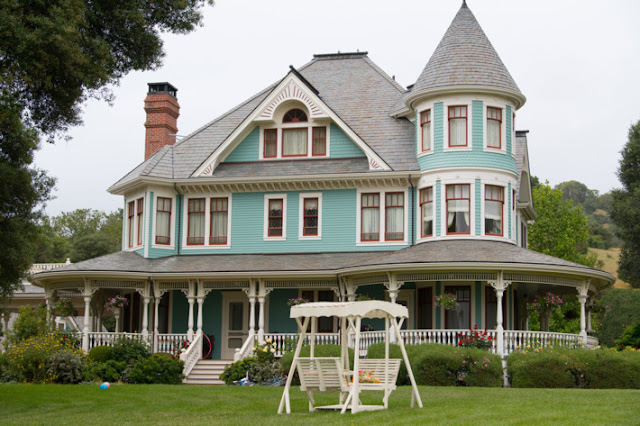 It had never occurred to Forster that the same phenomenon could happen to his movie. Unsubstantiated reports about overruns, creative clashes and re-shoots cropped up and then mutated and spread virally on the web. It got to the point where the question was no longer would WWZ work, but how cataclysmic a failure it might be. That began turning around when Paramount began showing the film, and it’s not a big factor as the film opens today. But what was it like for a director to get caught in such an unprecedented media maelstrom, a lot of which was based on some truth, and some inaccurate or exaggerated reporting? Some of those reports implied that Forster was a passive participant once he and studio brass went into the editing room and decided that a colossal, bloody battle scene in Russia was loud, bloody, and unsatisfying. Other rumors were he didn’t even do the reshoots. Forster denies those rumors. Certainly, there was tension. How often does a studio like Paramount pull a picture out of its release calendar and commit another $20 million or so to create and shoot a new climax? But Forster said they were all in lockstep, working with scribes Damon Lindelof and Drew Goddard on an ending that aimed to be quieter, but more intense. 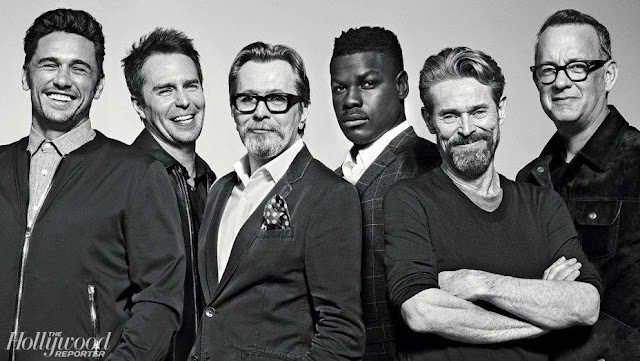 When they left, Christopher McQuarrie also lent a hand in the writing. How fun that you met Brad Pitt - it's nice to know fame didn't go to his head. I cannot imagine what it would be like to be famous like that and don't think I want to find out. I'm not a fan of action movies so I probably won't see this one.